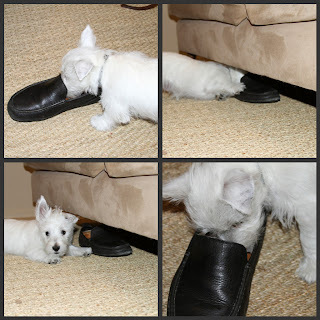 When mom saw me with dad's shoes I heard her say a bad word. Under her breath I heard her say "payback is hell." I told you dad was at the Sonoma Film Festival this weekend right? Little D cat's away mouse will play!